Centre who joined Western Force in 2011 after previously playing for the Brumbies and Reds. He was educated at Downsland College. He played for the Japanese team Honda in 2009. He married Jemima Fairbanks in 2008. 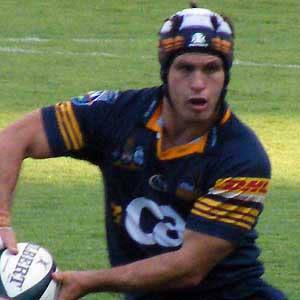 He and Dan Palmer both played for the Brumbies.